15.01.2018 Update (1.7) to add NDI output, frame snatching, midi learn to ui buttons. 31.12.2017 FAQ section added to this site. 16.11.2017 Update (1.6) to improve video file playback and more. 06.10.2017 Update (1.5) to add custom resolutions, aspect ratios with vintage device presets, CC triggers for part/slot selectors, fixes to file source playback. 22.09.2017 Update (1.4) to add new OpenGL settings (rotation and zoom), custom FOURCC codec input for render, new distortion modes, MIDI note part/slot selectors, MIDI CC to Extras, general settings, GUI settings (UI color customization) and synthesizer master volume. 12.09.2017 Update (1.3) to fix Mac file browsing and figure frame Reset. 11.09.2017 Update (1.2) to fix Windows rendering and full screen aspect ratio. 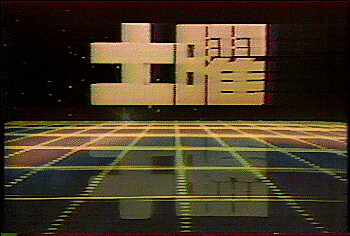 Remember all those commercial animations, production logos and music videos from the 70's and 80's, that were created with expensive analog/digital hybrid video computing systems like the custom Scanimate systems, Fairlight CVS and later the accessible Video Toaster for Amiga computers. That warm and organic analog picture can't really be compared to the digital sterile picture in modern video software systems. 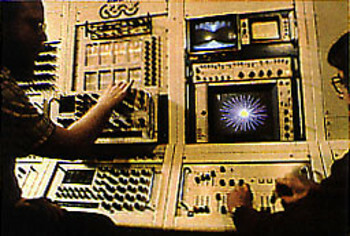 The old real-time hybrid systems were also playable live to create video effects, realtime animations and more just like with an expressive musical instrument - but with video! Cathodemer is a realtime video production instrument with a CRT display simulator. It features analog-style RGB signal oscillation synthesis, input source mixing and manipulation, recursive color shape synthesis, sprite animation engine and various classic video effects. All parameters can be controlled via MIDI and audio input. Video output can be projected to video projector, rendered to file or routed to other video applications via framesharing. Copyright (c) 2018 Joel Kivelä. All rights reserved.